We had captured our DIY Phonics Flashcards in an earlier post. 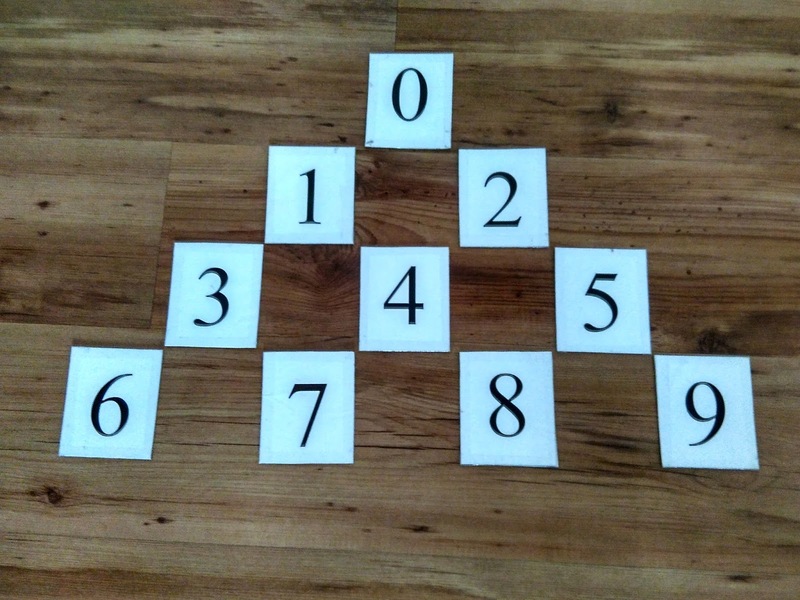 We set out to create the numerals flash cards in the same fashion. By the time we introduced these numeral flash cards (~Mar'17), Anouk was 24 months old and knew numbers 0-10(both identifying and saying the numbers), and was counting objects up to four objects (too impatient to count after that). Though she was saying aloud the numbers till ~30, she could not identify the 2-digit numbers(barring 10) or get the logic behind naming the 2-digit numbers. Two sets of 0-9 are made, to teach all whole numbers till 100 as well as the logic behind their formation & naming and many possible (though not explored yet) higher digit numbers. No pictures were used and care was taken not to highlight the flashcard borders to enable a visual continuity (in our opinion) while blending two/multi digit numbers. Layout : Numbers on one side, left blank behind; no colored margins were used.